Body contouring treatments are designed to offer an entirely non-surgical solution to stubborn fat, cellulite and loose or lax skin. With award-winning Lipofirm Pro body sculpting treatments, you’re offered the most advanced solution for inch loss and non-invasive body sculpting with skin tightening. Using clinically proven TriLipo technology, Lipofirm Pro body sculpting treatments offer unrivalled, safe and effective results. Great for minimising cellulite, getting rid of stubborn fatty areas, and as a surgery-free way to tighten loose skin, body reshaping treatments with Lipofirm Pro are versatile and fast-acting. 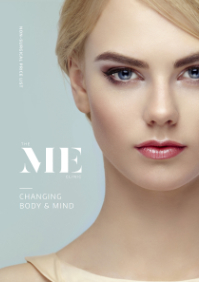 What are body reshaping treatments designed to do? Lipofirm Pro with TriLipo DMA technology can help to tighten loose skin as part of body reshaping treatments, or help with inch loss, body sculpting, skin firming, cellulite reduction and also improve stretch marks. The improvements as a result of non surgical body reshaping treatments offer long term results and a high client satisfaction level. 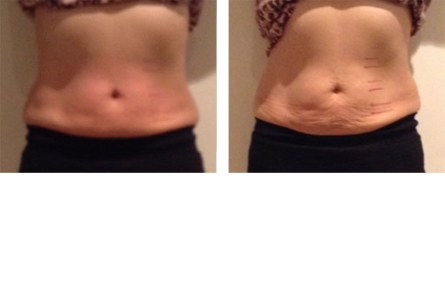 How do Lipofirm body sculpting treatments work? 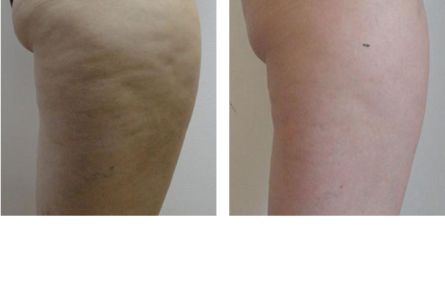 Releases fat using proven radiofrequency energy. 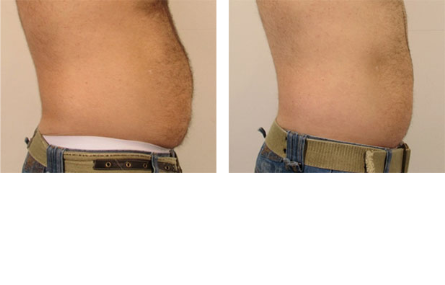 The radiofrequency heats the fat cells and causes them to secrete liquid fat. This in turn helps to reduce body fat as part of body sculpting treatments. Removes the released fat naturally using a patented lymphatic drainage mechanism (Dynamic Muscle Activation) that also contracts the muscle. Rejuvenates the skin by applying radiofrequency energy that causes immediate collagen contraction and long-term collagen rejuvenation. It’s a long-term way to tighten loose skin. Which areas of my body can be treated with body sculpting treatments? Lipofirm Pro is capable of reducing body fat from all areas of the body from the abdomen and waist, to the thighs and buttocks, and you may even see results after the first body contouring treatments. We do recommend avoiding having a treatment on your abdomen during menstruation, as the dynamic muscle activation is contracting your muscles which for some can result in stomach cramps and a heavier flow. How many body sculpting treatments are needed? For enhanced results, we recommend to undergo a minimum of 4-6 treatments 1 week apart, but this varies from person to person. 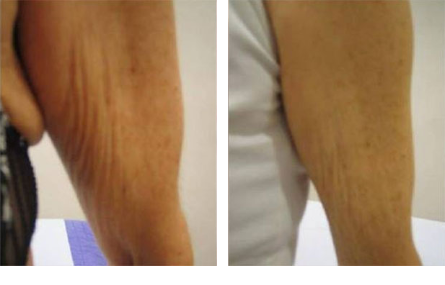 Treatment times vary depending on whether clients wish to tighten loose skin or reduce body fat. 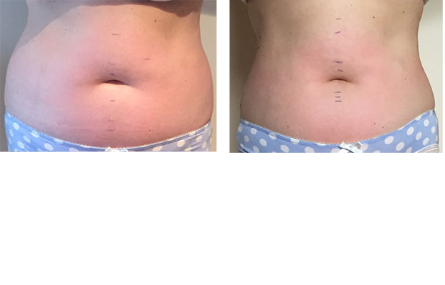 How does Lipofirm Pro treatment feel? To start you may feel a gentle warmth which gets warmer as the bodyt reshaping treatment progresses; next a ‘pinging’ sensation will be introduced which is the Dynamic Muscle Activation; this part of the treatment is actually causing your muscle to contract which can feel quite strange at first but you soon get used to it. The practitioner will be applying a small amount of pressure to aid in the lymphatic drainage. All together the feeling isn't relaxing but neither is it painful. The practitioner will adjust the levels of the treatment to suit whether you wish to tighten loose skin or reduce body fat. No preparation is needed to undergo treatments to reduce body fat or tighten loose skin with Lipofirm Pro body contouring. No, due to the DMA (Dynamic Muscle Activation) stimulation your muscle, and tricking your body into thinking you are actually working out while you're having the treatment, there is no need to go to the gym after the body reshaping treatments. Nothing specific, however we do however recommend you follow a healthy diet and keep active in order to heighten the results of your body reshaping treatments.